Adapter to make bare wire connections to DC jack very simple. Used widely with PS series power supplies and controllers that have DC jack power connection. 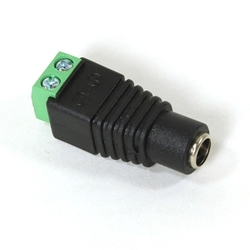 Male adapter is suited for controller connection and female adapter is suited for power supply connections.